Two people have been killed and at least 30 injured after an explosion in a port city in China. The blast in Ningbo south of Shanghai knocked down buildings and left streets littered with damaged cars and debris. The early morning explosion struck a riverfront neighbourhood in one of the country's busiest ports. 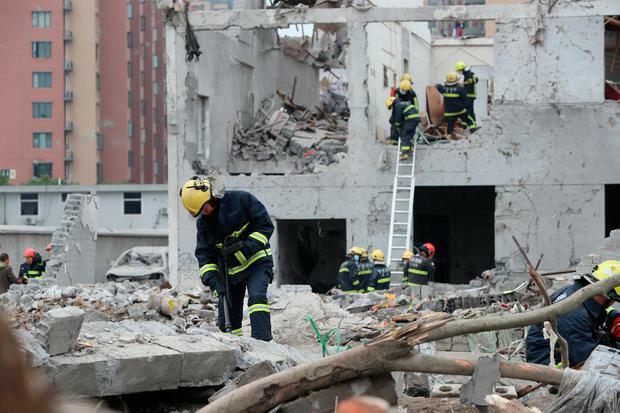 Firefighters traced the blast to a hole in the ground where a toilet had been but the cause still was under investigation, state television said. It gave no indication whether the explosion site was inside a building. Two people were killed and two more seriously injured while at least 30 others were taken to hospitals. Sunday's blast knocked down residential buildings but they were vacant and in the process of being demolished, a news report said. It added there might have been people in the area collecting scrap for recycling. 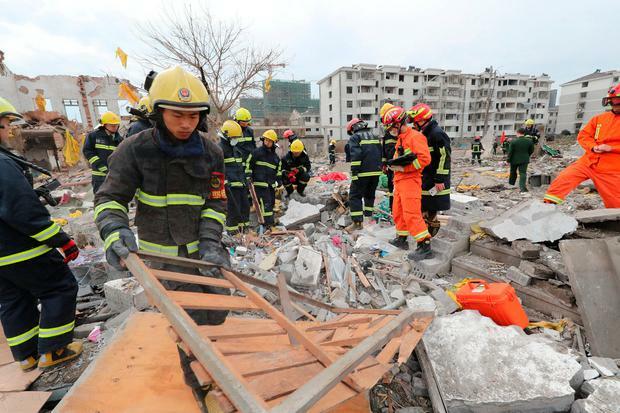 Bystanders said the explosion might have been caused by a gas pipeline that was damaged during demolition work, but the Ningbo gas company said it had no lines in the area. Photos showed an injured woman being carried away on a man's back and what appeared to be the body of man lying in the debris of a wrecked building. Video clips on multiple websites showed a white cloud of smoke rising above the explosion site and rolling across nearby buildings.